Jeff is a General Partner at Flybridge Capital Partners whose investment interests and entrepreneurial experience are in consumer, Internet commerce, marketing services, software and mobile start-ups. Jeff currently represents the firm on the boards of Cartera Commerce, ClickSquared, Convoke Systems, DataXu, i4cp, SavingStar, SimpleTuition, and is a board observer at ZestCash. Jeff was previously a director at Brontes Technologies (acquired by 3M), BzzAgent (acquired by Tesco), go2Media, oneforty (acquired by HubSpot), PanGo Networks (merged with InnerWireless), Ready Financial (merged with AccountNow), Transpera (acquired by Tremor Video). Jeff’s book on venture capital and entrepreneurship, Mastering the VC Game, is an insider’s guide for entrepreneurs on financing and company-building. He currently serves as an Entrepreneur in Residence at Harvard Business School’s Arthur Rock Center for Entrepreneurship and has co-authored three HBS cases that are taught in “Founder’s Dilemma” (Curt Schilling’s Next Pitch) and “Launching Technology Ventures” (foursquare and Predictive BioSciences). Jeff is the co-author of “Ruling The Net”, a 1996 Harvard Business Review article on the Internet’s potential for commerce. He is also on the board of MITX, the Massachusetts Innovation and Technology Exchange and is a Founding Executive Committee Member of FirstGrowth Venture Network, a network of venture and angel investors supporting first and second time entrepreneurs building exciting companies in the New York area. 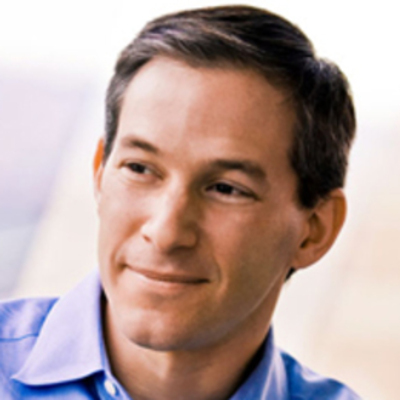 Prior to joining the firm in January 2003, Jeff co-founded Upromise (acquired by Sallie Mae), a loyalty marketing and financial services firm with 12 million members that currently manages over $35 billion in college savings assets, where he served as President, Chief Operating Officer and Board Director. Prior to Upromise, Jeff was an executive at Open Market, an Internet commerce software leader that went public in 1996 and grew to nearly $100 million in revenues. During his five-year tenure, he served as Vice President of Worldwide Marketing and Business Development, Vice President of Worldwide Professional Services and head of Product Management. Prior to Open Market, Jeff was with the strategy consulting firm, The Boston Consulting Group.